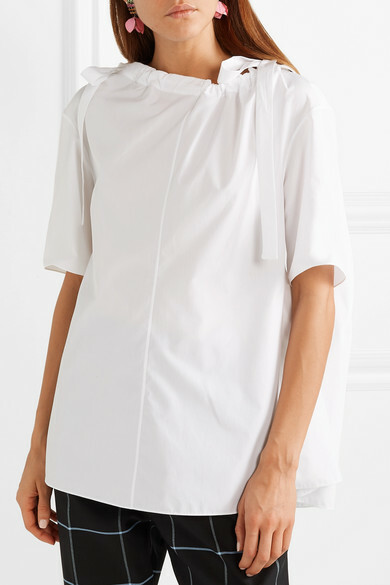 Made in Italy from cotton-poplin in an oversized silhouette, Marni's blouse has a drawstring neckline that ties at the shoulders to create gentle gathers. 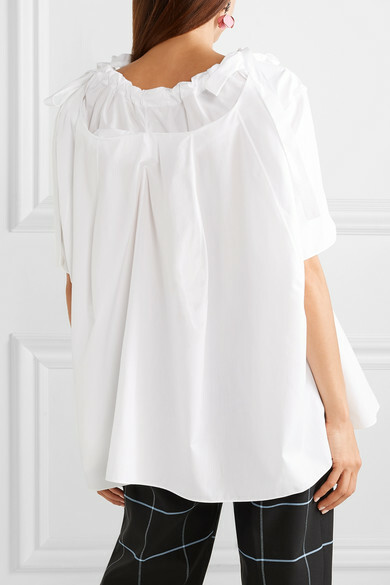 This piece is minimally detailed with seams through the front and turns to reveal a cool layered detail at the upper back. Wear yours to the office with sleek tailoring or at the weekend with denim. 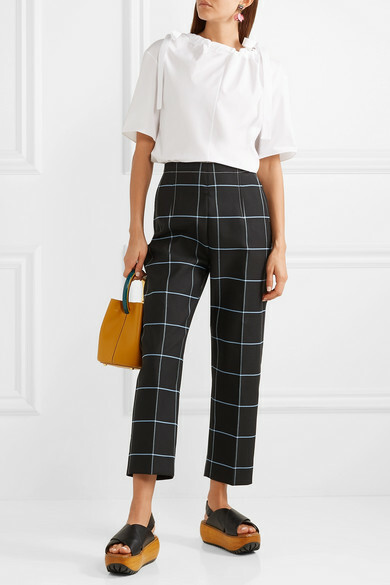 Shown here with: Marni Pants, Marni Bucket bag, Marni Sandals, Marni Earrings.